Despite what you may think, I'm always very hesitant to hop on any weight loss bandwagon. For one, I don't want to be jumping from one weight loss product to another to another. For two, I'm still working on being satisfied with the way I am right now. However, I'm still a woman, and I'm human and I know that I do need to lose weight. My main goal in life is to be healthy in what I eat, drink, and also through exercise. 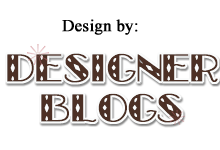 Recently Moms Meet offered me a chance to do a review on a product called Calorease. After doing some research on the product, I decided to give it a try. 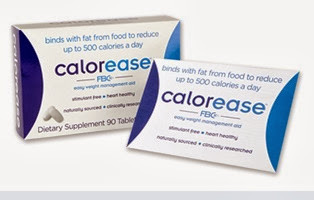 Calorease is a stimulant-free and therefore heart-healthy diet aid to help manage weight. It has been shown to bind and eliminate up to 9 times its weight in dietary fat, reducing up to 500 calories a day from the fat in foods. *It's easy to use! Simply take two tablets with a fat-containing meal three times a day. *If taken as recommended, results can been seen in 2-3 weeks. *It does not contain gluten, lactose, yeast, wheat, sugar, salt, eggs, soy, dairy, artificial colors, sweetners, or preservatives. It is naturally sourced from grain and is suitable for vegans. *Calorease is not a license to overeat, nor is it a magic bullet for quick weight loss. *Stay consistent for best results. *If you are still needing more information, click here to watch this video on how exactly Calorease works. So what was my experience with Calorease? Well, I've said it before and I'll say it again, unless I set an alarm, I am very inconsistent with taking vitamins, pills, etc. of any kind. Consistancy is one of the things stated to help further weight loss. However, for the last two weeks I have been for the most part very good about remembering to take the pills with a meal. At the end of the two weeks, I am down 1.5 lbs. To me, this is a positive experience as so far, I have really struggled to even lose 1 lb. It is also worth noting that I had no negative side effects! I will continue on taking Calorease, along with starting a new exercise routine, an in general trying to up my vegetable/protein intake. Interested in trying Calorease out for yourself? Go here and type in coupon code: 4MOMS for a 50% discount! To keep up to date on Calorease and to learn more about them, check out their Facebook and Twitter.